Starting and ending at Pokhara, west Nepal. 3-5 hours rafting every day. 4 graded river. 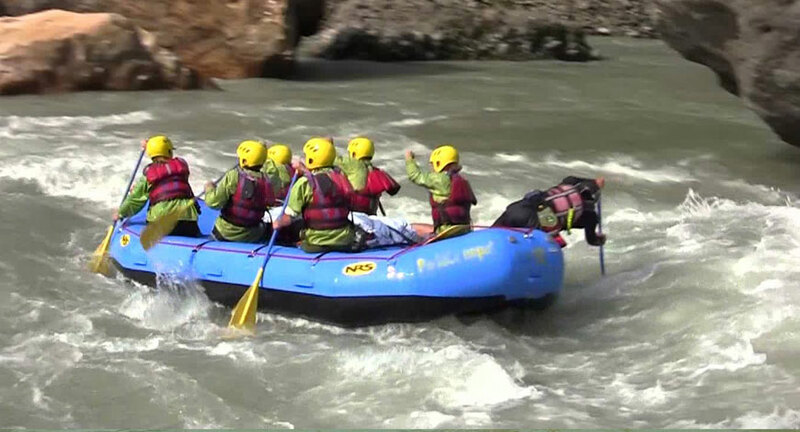 Classic and moderate rafting tour. Nepal's medium length river trip, turbulent rapids, slow drifting, white water, world's deepest gorges, rich wildlife, historical and feeling of remoteness. River of Kali rises in Mustang, an enclave of Nepal poking in to Tibet on the other side of Himalaya. Then flows between world's deepest gorge and in an arid open valley. Where drifting through technical, challenging streams.